35 for 35 Campaign Comes to an End! WE ARE EXCITED TO ANNOUNCE THAT YOU HAVE HELPED US RAISE $21,600 WITH PROJECT 615 AND PEKKA RINNES "35 FOR 35" CAMPAIGN! 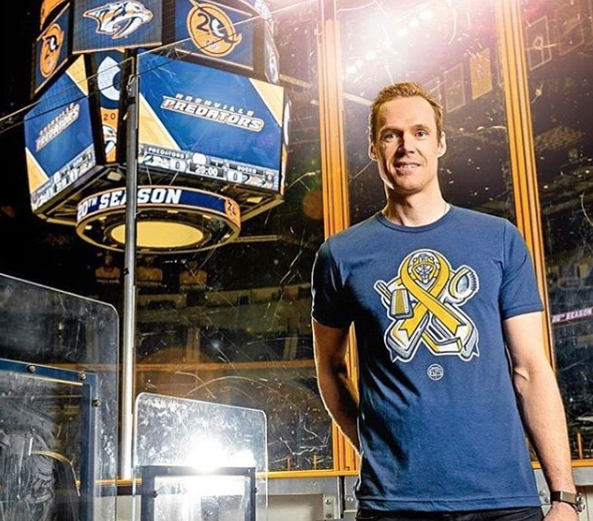 For 35 days, Project 615 teamed up with #35 of the Nashville Predators, Pekka Rinne, to sell exclusive t-shirts with 100% of the profits benefiting the 365 Pediatric Cancer Fund. The 365 Pediatric was formed by Pekka and former Nashville Predators player, Shea Weber to help fight pediatric cancer. 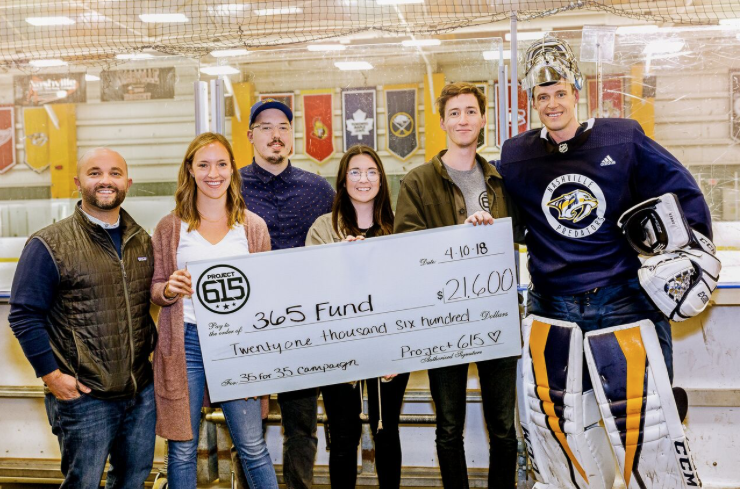 The “35 for 35” campaign was inspired not only by Pekka's jersey number, but most importantly by Pekka's heart for the children and families affected by pediatric cancer and his continued efforts to raise support for the 365 Pediatric Cancer Fund. Project 615 and Pekka hoped the tees would motivate others to jump on board for pediatric cancer research and we have been blown away with the support we have received. With all of your support, we are excited to be giving $21,600 to the fund! THANK YOU for joining us and Pekka to help fight pediatric cancer! !